Do these go with my eyes? Thanos, the evil and twisted Mad Titan hellbent on gaining power, is coming to Earth before we know it. With the release date of Avengers: Infinity War set for 27 April 2018, it’s time to find out why he’s headed here, and what the infinity war is all about. The war revolves around the infinity gauntlet, and the six stones that power it. The gauntlet itself is nothing more than an accessory, however it’s sockets are built to hold some of the most powerful items in existence. The glowing gemstones, those that influence space, time, reality, the mind, power, and the soul, are what raise the gauntlet from a not-very-impressive golden fist covering to a thing to go to war over. The Space Stone, affectionately known by Asgardians and a few Nazis as the Tesseract, offers its bearer power over space. This blue stone allows the host the ability to teleport anywhere, in this universe or any other universe. We met the stone first in Captain America: The First Avenger, and Loki revealed it again in The Avengers. It was since given to Odin, where it was placed in the trophy room. The Aether, or Reality Stone, has been used by the Dark Elf, Malekith, to bring darkness to the universe. While it is not exactly clear how the stone works, Malekith’s attempts to wield it in Thor: The Dark world were foiled by Thor because of his protective love of the Human called Jane. Since the red, liquid-like stone had invaded Jane's body, Thor stopped at nothing, eventually both losing his mother and killing Malekith. The stone was taken to The Collector in Knowhere, the logic being that none of the stones should be near each other. The Mind Stone, was first seen in The Avengers. Although we didn’t realize it at the time, it was the Mind Stone, not the Tesseract or Loki’s innate powers, that created his hypnotized cronies. In Age of Ultron, this glowing yellow stone is used to create both Ultron’s maniacal ego and eventually Vision (J.A.R.V.I.S. come to life). It remains safely nestled inside Vision, effectively giving him consciousness, and is arguably the most useful stone for the side of “good” of them all. The Power Stone, or Orb, is the only stone set in the Guardians of the Galaxy’s part of the universe instead of the Avengers back on Earth. This violet stone is also the only one that has come so close to the grip of Thanos to incur his wrath of it being ripped from him. Able to destroy at will, and so powerful no mortal can touch it, the Guardians found a loophole. They were able to control it by forming a single unit, effectively destroying their foe and almost destroying the tree-creature, Groot. While the Nova Corps was supposedly given the stone to protect, there are many theories that state the thieving Star-Lord, leader of the Guardians, may have pulled a switcheroo on them just like he did with his foster-father, Yondu. The green Time Stone, also knows as the Eye of Agamotto, is also unique, as the only stone to be in the possession of a single being. Sort of. While it is protected by all of the powers at the Kamar-Taj on Earth, Doctor Stephen Strange wields it and used it to create a time loop to save the Earth from Dormammu. The name “Time Stone” alludes to so much more than that, however, with the possibility to control all of time, past, present, and future. 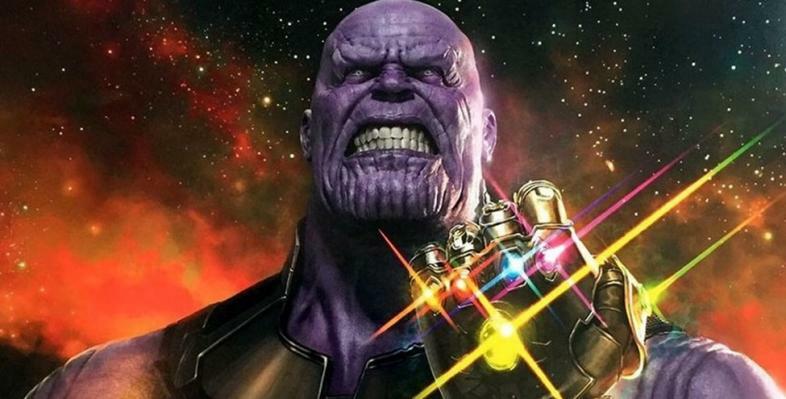 The Soul Stone, likely orange in color based off of images of the filled gauntlet and process of elimination, has yet to be seen. The Soul Stone of the comic books shows power over death (as well as life) and can be used to absorb other’s abilities. There are also many theories stating where the stone might be hidden. Some believe it was within the meteor that fell to Wakanda in Black Panther, giving the indestructible vibranium its strength, however the director has stated this is untrue. 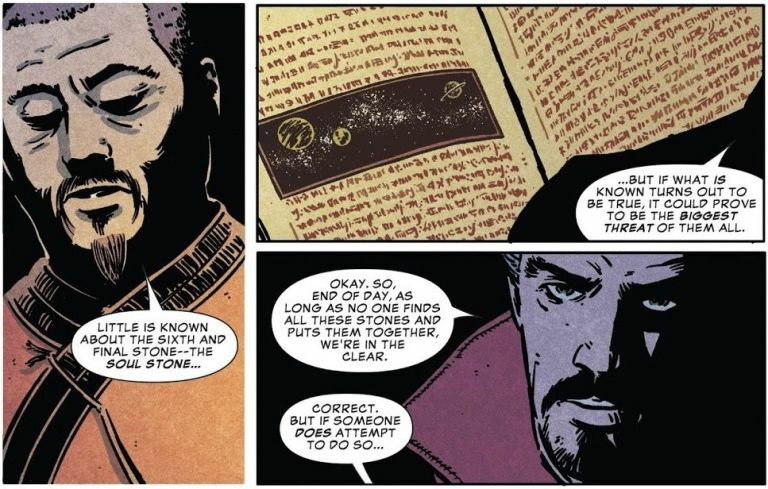 While the Prelude comics are only mostly-canon to the Marvel Cinematic Universe, Doctor Strange’s friend and the official librarian of Kamar-Taj discusses the stones. Through him, Doctor Strange becomes one of a select few to have any knowledge about all six stones. Though it is relatively broad knowledge, with an exception made for the Time Stone he himself protects, it is still more than most. The thing is, even the vast collection of information held at Kamar-Taj doesn’t tell us exactly where the soul stone is, only that it is especially dangerous. The only “hint” we get, as Wong reads from an ancient book, is an image of three planets. Because of this, there is a huge amount of speculation from MCU fans that maybe the stone… is a planet. I’m not sure this would look very fashionable when socketed into the Infinity Gauntlet, however, I’m sure that’s the least of Thanos’s worries. The finished gauntlet will give Thanos immeasurable power, over every conceivable “element” of the universe. Still, one can’t help but to wonder if his shoes will match.